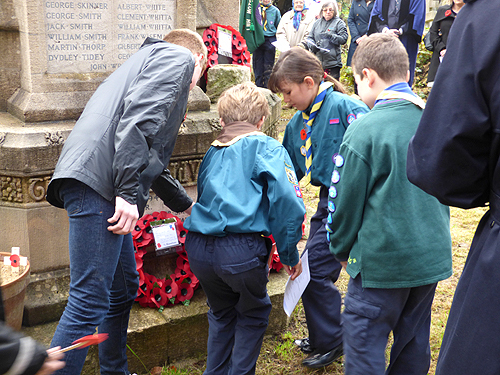 Remembrance Sunday is held on the second Sunday in November, the Sunday nearest to 11th November. It is a special day set aside to remember all those men and women who have given their lives for the peace and freedom we enjoy today, during the two World Wars and all the other wars and conflicts throughout the world. Over 1.75 million soldiers and sailors from Britain and the Commonwealth lost their lives in the two World Wars, and many more have died in more recent conflicts. 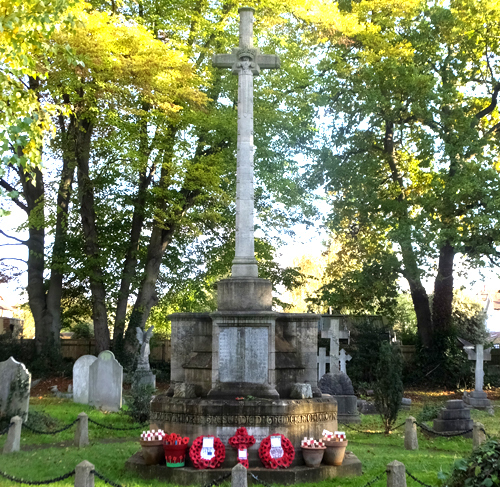 Special services are held every year at war memorials and churches all over Britain. 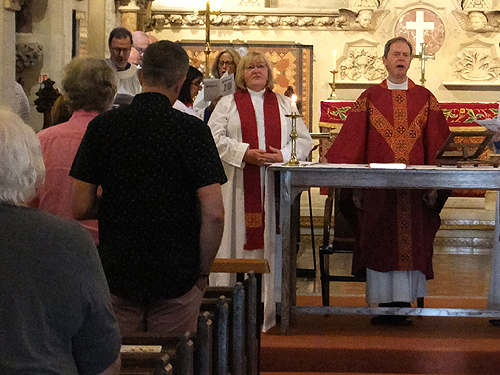 At St James's there is a Parish Communion service every Remembrance Sunday. Immediately following the service the clergy, servers, choir and congregation process out to the War Memorial and take part in a special short service. On this day people across the nation pause to reflect on the sacrifices made by our brave service men and women. The eleventh hour of the eleventh day of the eleventh month marks the signing of a peace agreement called the Armistice. At 11am on November 11th, 1918, the armistice was signed and brought to an end the war between Britain and her allies and Germany after more than four years. November 11th is called Armistice Day in Britain, and there a two-minute silence is held at 11 o'clock. On either the Sunday before or the Sunday after Armistice Day (on a day known as Remembrance Sunday) there is a national ceremony at the Cenotaph in Whitehall, London, at which people remember those who have died or been injured in wars. The ceremony was first held in 1921 and the Queen lays the first wreath at the Cenotaph.